Recognised as an international centre of excellence, Auckland DHB is renowned as New Zealand’s largest teaching hospital, offering 19 national specialist services. The Mobility Solutions team are an inspirational group of Physiotherapists, Occupational Therapists and Technicians who assist people of all ages and abilities to achieve their mobility goals. With access to the latest equipment and technology and an onsite workshop for customisations to chairs and equipment, this role is hands on, practical and will challenge you to think creatively to develop tailor-made solutions. We are open to candidates looking for a permanent or fixed term opportunity. Please clearly state your preference in your cover letter. MATAMATA PHYSIOTHERAPY CLINIC NEEDS YOU! We are looking for a personable, fun and outgoing physiotherapist to join our amazing practice team. You will work alongside 2 other experienced, positive and driven physiotherapists with over 30 years private practice experience including working with national sports teams. We have postgraduate qualifications in manipulation, sports physiotherapy and acupuncture and are keen to share our knowledge. Professional Development is encouraged and supported. Being a rural town you get a huge variation in clientele including gym programmes, hospital work alongside the clinic and sports teams if you want. Everything is onsite with great relationships with the doctors, X-ray and ultrasound and visiting orthopaedic surgeons. We also enjoy interacting with crock-pot Tuesday’s, good coffee and business house sports. Good baking skills are also necessary. Enjoy your work in a fun environment having an enormous variety of clients offered. A competitive remuneration is offered. New graduates are welcome to apply. New Zealand Physiotherapy registration is required. • Highly successful expanding private practice in Hamilton, New Zealand. • We are looking for a qualified NZ registered physiotherapist to join our team full or part time. • We are a long standing, accredited private physiotherapy practice in central Hamilton, New Zealand. • Apart from our main clinic, we service two additional satellite clinics and sports teams. • We treat a variety of clientele from acute, sports, post-operative and general musculoskeletal conditions. • Great mix of regular and loyal clientele. *A down to earth and approachable person, with a can do attitude. *You will primarily be based at our main clinic, however, some coverage may be required at our satellite clinics. You will also need to be open to providing sports physio coverage as required (training and mentoring will be provided). *We are committed to supporting staff and looking after their health and well being, this includes working together to create a work/life balance. *Regular in-services and professional development. Lets talk further if you are full of passion and drive for excellence. E-mail in your application and CV to: admin@performanceplusphysio.co.nz or alternatively, you can contact Sufia Ali on 021 131 6839 for a chat. An exciting opportunity exists for a motivated physiotherapist to join the team at Physiotherapy In Yass. We are a small well established physiotherapy practice in Yass with an excellent reputation amongst the medical and general community located 1 hour from Canberra. We provide a hands on approach to patient care. The successful candidate will work with a mixed case load from sporting injuries, spinal pain, orthopaedic rehabilitation and chronic disease management. We work closely with like minded Allied Health professionals within our establishment. Have a positive and enthusiastic attitude. We will consider full time and part time hours. The role is for a full time physiotherapist working within a busy, well established medical practice with GP’s, Orthopaedic specialists and Podiatrists. We have a large referral base with strong relationships with Doctors and specialists. You would be working with highly experienced post graduate qualified physiotherapists, that also teach on post graduate courses. Physiotherapists that are involved in International level sports teams as well as Physiotherapists with wide ranging skills, including acupuncture, manual therapy, pelvic health and pilates. You would be working in a team that supports continuing education and development. 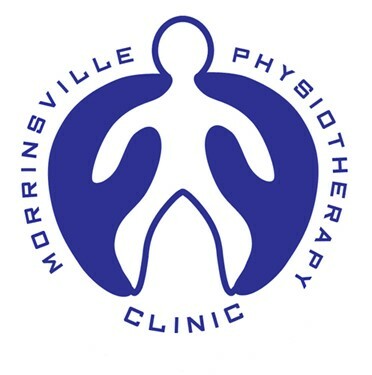 Avondale Family Physiotherapy clinic is based in Avondale on Rosebank Road. We are looking for someone awesome to join our small team. We are a newly refurbished clinic that provides an air-conditioned working environment, with brand new equipment and all the resources you could need to treat your patients to the best of your ability. We have an in-clinic gym with a Pilates reformer machine. We are a community-based practice, which has built strong relationship with our local GPs and other health practitioners, meaning our clinic is continuing to expand. Our physio team here is friendly and keen to keep on improving our skills in a supportive learning environment. New grads will enjoy the non pressured environment that gives you chance to put your new skills to work. We provide continuous in-house training to support you in your journey to become the best physiotherapist you can be. We are situated right next to ample public parking, but free staff parking is provided. We use Gensolve software so time spent on patient notes is more efficient, leaving us with more time to work with our patients. Our goal is to provide our patients with quality care, treatment and rehabilitation; therefore most of our appointment times are 45- 60mins. With a wide range of patients coming through our doors each day, we are looking for someone who will put these people at the centre of all they do. New Grads are welcome to apply or more experienced physios looking to make a change to a great working environment. All applicants must hold a current NZ physiotherapy APC and have relevant visas to work in NZ. This position is preferably full time but we are also looking for a part time clinician. Both are waged positions but will contract by negotiation if preferred. We are happy to discuss hours and remuneration on application. MSK PHYSIOTHERAPIST (FULL OR PART TIME) – KERIKERI, BAY OF ISLANDS. Offering a $3,000 NZD relocation allowance (FTE) for the successful candidate. We are looking for a MSK physiotherapist (full or part time) to join our friendly and supportive team. We have an exciting position available at The Doctors Kerikeri / Kerikeri Medical Centre. We have affordable housing, an amazing lifestyle and a great standard of living compared to Auckland. Learn to dive or sail and bike in our world class Waitangi Mountain Bike Park (www.wmbp.nz) or on the Twin Coast Cycle Trail. With clinics in Paihia, Kerikeri and Moerewa Medical Centres we have a large client base and strong links within the multidisciplinary team. We work with ACC under the Physiotherapy Services Contract and provide ACC’s vocational rehabilitation and pain management service contracts. We also have close links to the local gyms in Kerikeri, Kawakawa and Paihia for rehabilitation, strength and conditioning programmes. Applicants will ideally have a passion for manual therapy, pain management and sports & exercise rehabilitation. A high clinical, professional and customer service standard is required. NZ registered & current APC essential. The successful candidate will be coachable, a strong team member and have at least 2 years appropriate experience. Ability to up skill from a generous CPD package, structured IST with experienced musculoskeletal physiotherapists (Masters Manip Therapy, Curtin, WA). CPD package: $1500 p.a. towards Post Graduate / Masters Programmes at AUT – including COMT. We are looking for an enthusiastic physiotherapist to join our team. This is the perfect role for you to work with an experienced team of physios who are passionate about physiotherapy. This role offers you the opportunity to establish a good client base in the Epsom and Greenlane areas. You will primarily be providing physiotherapy services for a variety of musculoskeletal, orthopaedic and sports injury conditions. Our team approach is to ensure we empower our clients and provide a great service. You will receive a comprehensive induction, ongoing support and professional development. New graduates welcome. Mentoring provided. Sole practice for sale situated inside Club Physical gym for past 20 years with excellent well-established client base. -Owner is changing professions so would be walk in sale, but willing to negotiate a deposit and installment sale. This is an ideal opportunity to purchase an already existing practice either as a first time owner or as a satellite or further clinic for a larger practice group. Owner/operator needed to join busy city practice with 25 years of business history in the province. One third shares on offer. Must be a practicing physiotherapist with the ability to work within the business. Massey Physiotherapy has a part time position available for a musculoskeletal physiotherapist. The clinic has a strong manual therapy and exercise rehabilitation focus. The clinic provides high quality health care services to the community and will give you an opportunity to work in a friendly, supportive environment managing a variety of injuries including sports, occupational, spinal and post-surgery rehabilitation and pain management gym programmes. Remuneration package negotiable dependent on experience and qualifications. The successful applicant must be New Zealand registered and have a BHSc (Physiotherapy) or equivalent qualification and current Annual Practicing Certificate. Please email CV to Maureen at maureen@masseyphysio.co.nz or phone 09 832 3619 or 027 257 2210. Are you a sports physiotherapist focused on getting truly life changing results for your clients? Would you like an opportunity to join a multidisciplinary clinic that actually works together? We are a team of physiotherapists, massage therapists and Pilates trainers who work together on a daily basis to achieve outstanding results for our clients. An opportunity to join our team at Bodyneed in either a full or part time role is now available. Our clinic has a strong manual therapy and exercise rehabilitation focus. We are well renowned as endurance athlete specialists with many top NZ athletes as clients. This is an opportunity to stretch your wings as a physio and build your profile as a top sports physiotherapist. To be successful in this role you will have great networking skills and an understanding of what it takes to build your own client base. Experience in Pilates and sports biomechanics and Post Graduate qualifications would be an advantage. We have a purpose built clinic and rehab studio, we are fully computerised and have an amazing team and an excellent in-house training programme. Competitive rates, incentives and further bonuses available for the right candidate. Join a team that strives to be the very best! Noomi Johnsson, Practice Manager, Bodyneed Sports Clinic, Ponsonby, Auckland.